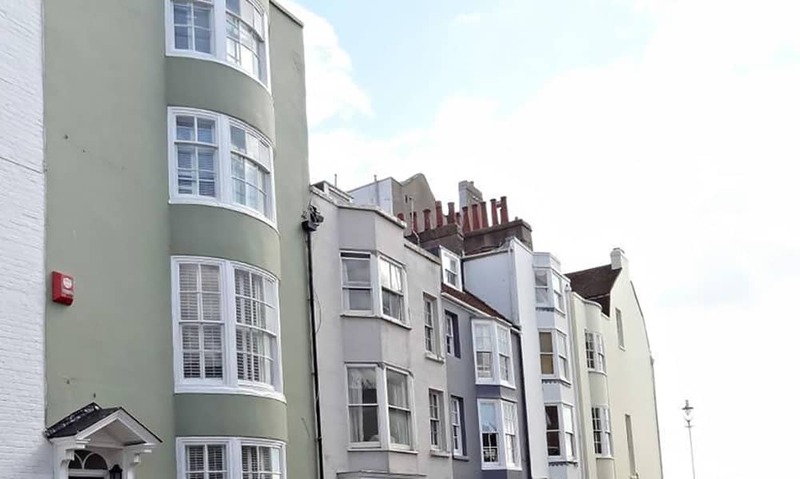 Hazel Town House is a stylish and elegant self catering property in the heart of Brighton, perfect for a group of up to 20 people looking to enjoy this lovely seaside city. 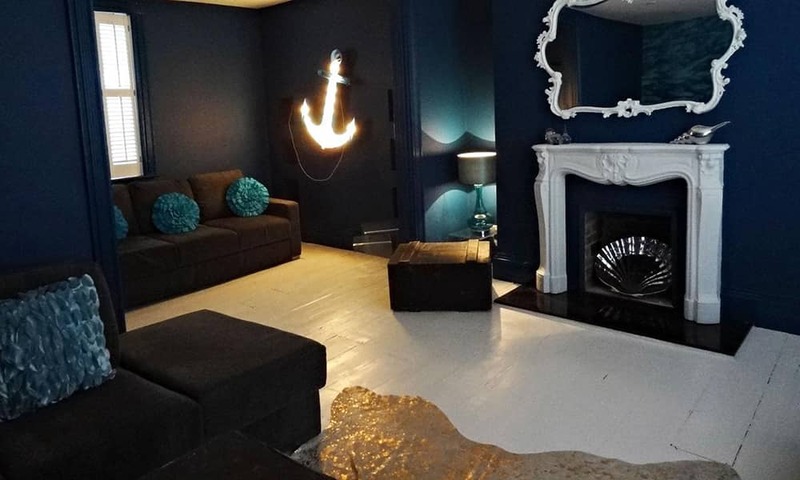 Given the central location, this property is ideal for shopping, visits to the beach as well as the clubs and nightlife. 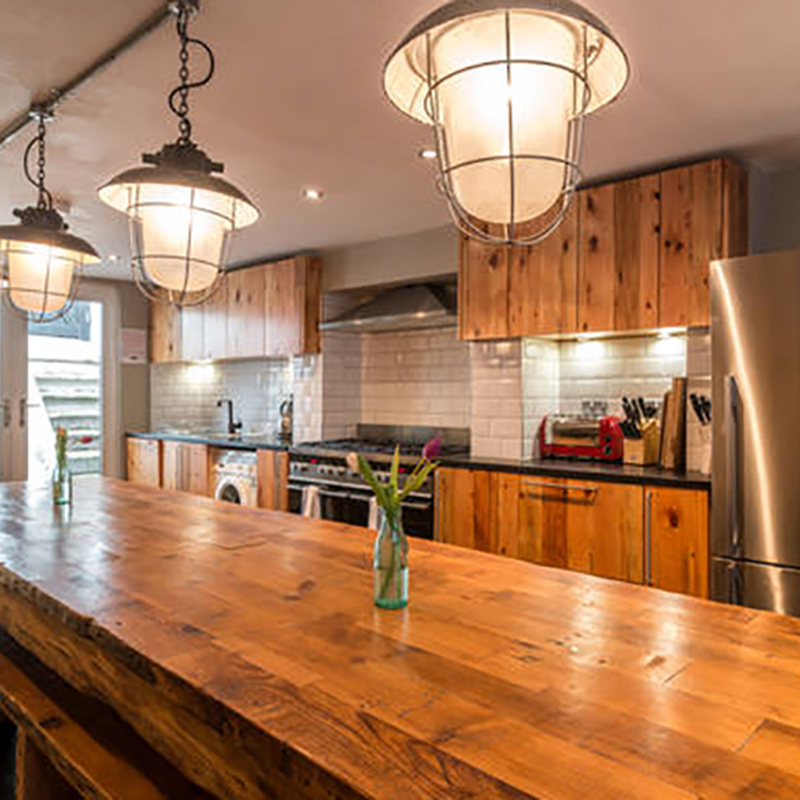 The property also boasts a self-contained apartment which sleeps 4 people, meaning up to 20 can be accommodated. 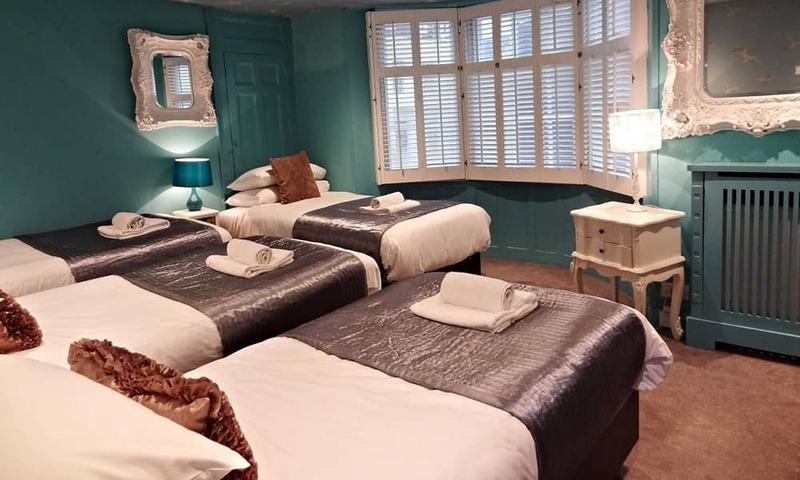 The main house sleeps 16, with 1 twin bedroom, 1 triple room, 1 room sleeping 5, 2 double sofa beds and one single sofa bed. A small balcony allows guests to enjoy the sea air! 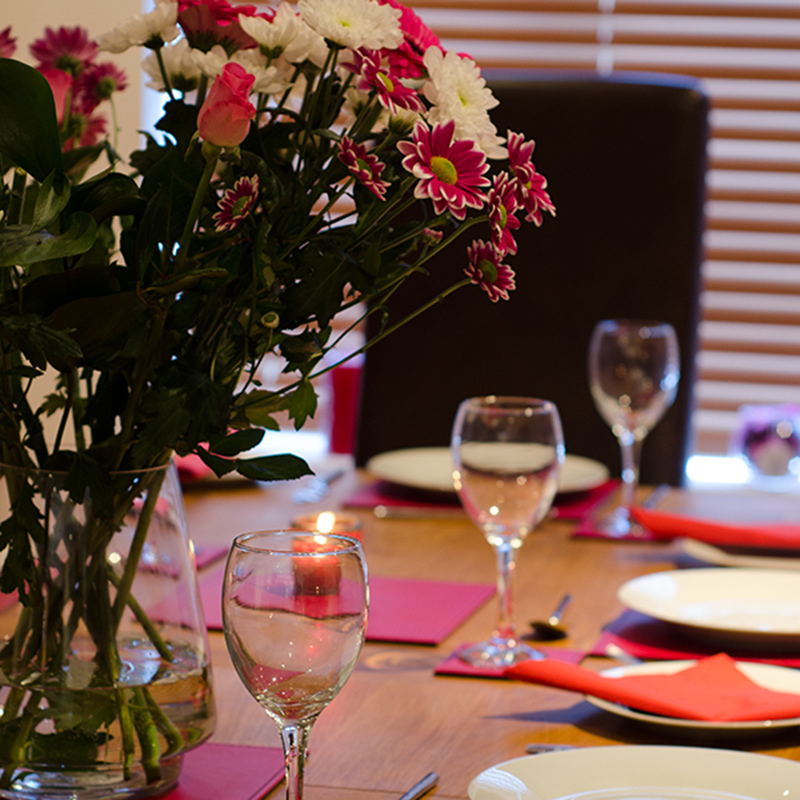 Cath Kidston is the obvious inspiration for the open plan kitchen-diner, with space at the table to seat 20 guests. The lounge, located on the first floor, is stylish and elegant, with lots of comfy seating and a flat screen TV. 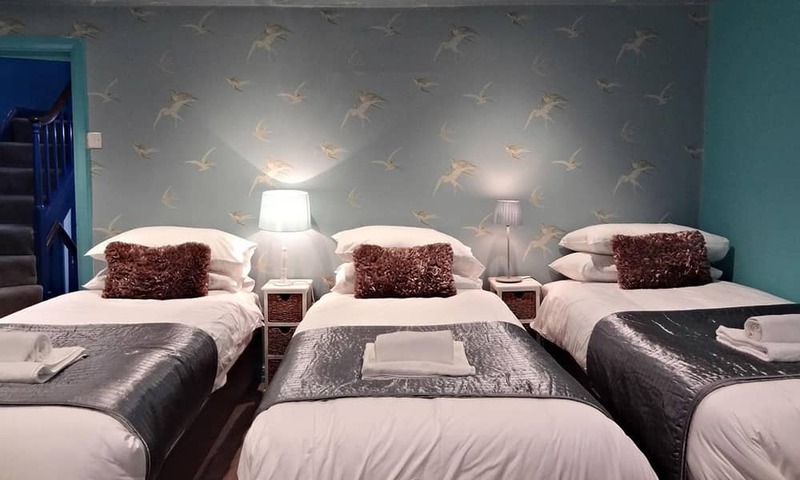 The first bedroom sleeps 5 in single beds and is once again beautifully decorated. Bedroom 2, on the 2nd floor, offers either two singles or a King Size bed. 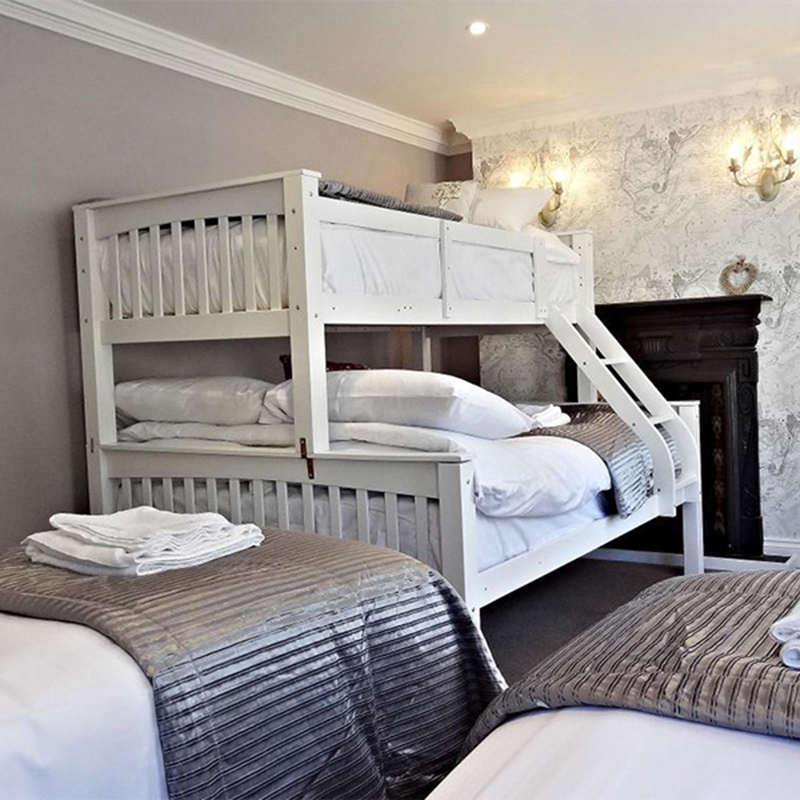 The property's third bedroom sleeps 3 people, with in 3 singles or in a king size bed and single. 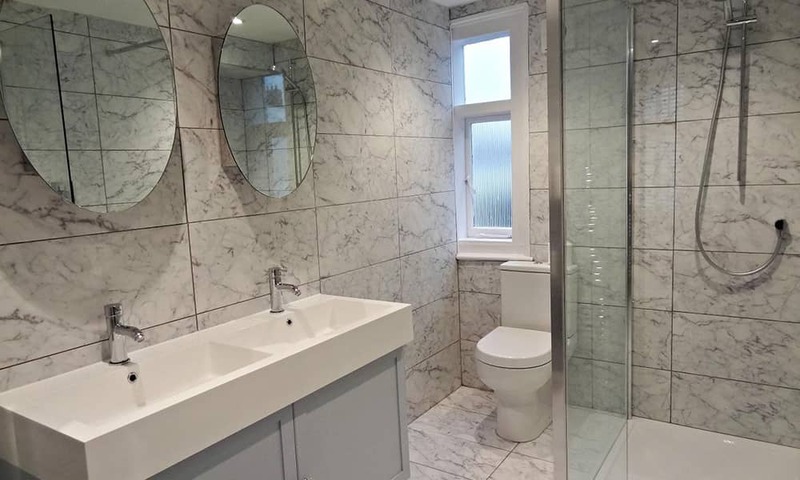 This bedroom has the added bonus of an ensuite bathroom. On the fourth floor is something for the ladies! 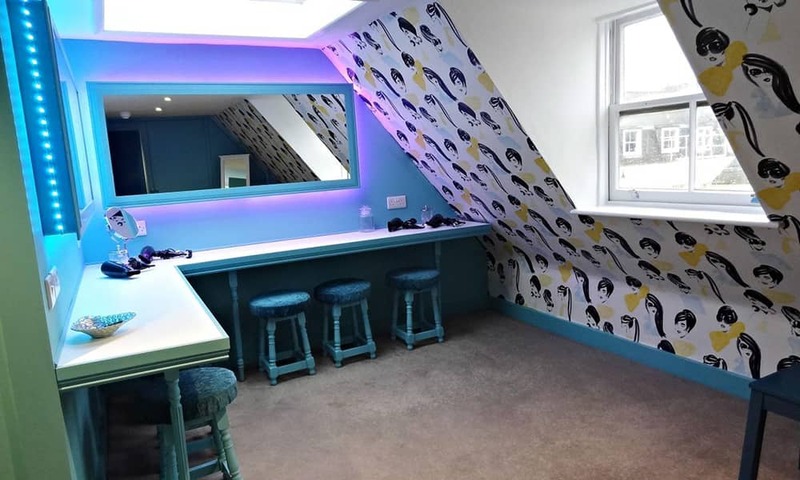 A dressing room with dressing tables and an ensuite offers the perfect place to get ready for a night out in Brighton! 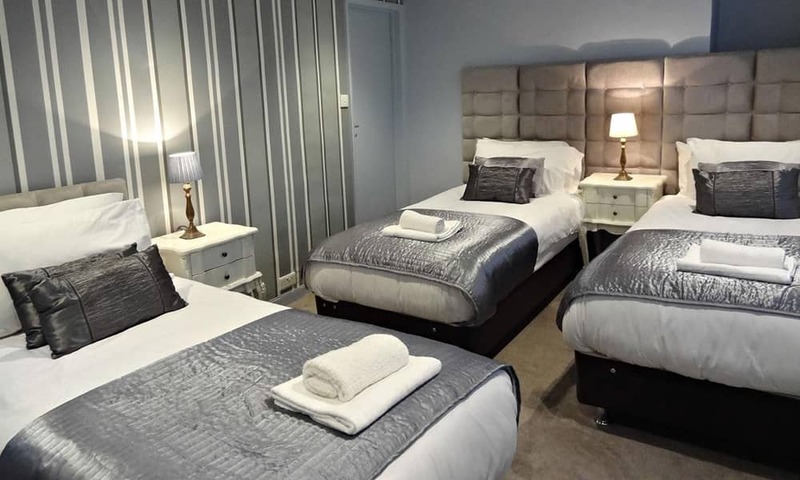 Offering accommodation for an extra 4 people, this apartment has its own kitchenette, bathroom and lounge area, with a double sofa bed. The bedroom has one double bed.